This interview is one of a series with 5 different Beachbody Coaches (fitness enthusiasts authorized to sell products like P90x, Insanity, Asylum, etc.). Enjoy their stories! What did I know about Lori Puckett before this interview? Based on my one conversation with her in the Burlington Airport, I could detect an aura of quiet intensity about Lori. She passed the intensity part down to her daughter….not so sure about the quiet part, though. Why did you become a Beachbody coach? I’m very passionate about living a healthy and fit lifestyle. I had already tried Beachbody’s Slim in 6, P90x, and Insanity programs when I met Arnel Banawa, the person who inspired me to commit to Beachbody. I envisioned myself completing goals I had set, but lacked direction and commitment. Arnel showed me 3 key concepts to successfully complete health and fitness goals: support, motivation, and accountability. Beachbody offers all 3 concepts. As a coach, not only would I receive those key concepts, but I could also help others who are experiencing the same things I experienced. Being able to inspire others to reach beyond the limits they have set for themselves and achieve things they once thought they could not do is a very rewarding experience. How/why did you become an obstacle racer? Strangely enough, I never wanted to participate in any type of run that would cover me in mud until about a year and a half ago. I saw an ad for Spartan Race and began entertaining the thought of completing a Sprint. I let the time pass and pushed the thought away. That’s when Arnel came into my life and put the thought in my mind that I could complete a Spartan Race. Of course, the next race on the calendar I could make was the Carolina’s Spartan Beast. So I did it…and I was hooked. It’s true what they say…”You’ll know at the finish line.” Since then, I’ve been able to relate life to obstacle course racing, which has brought a lot of meaning to pushing myself to achieve things I once thought impossible. It’s a great self-esteem booster! If you could recommend only one Beachbody program for fitness training, what would it be? That’s a tough question to answer because it’s going to depend on factors relevant to each individual, which is why Beachbody is so great. There are programs available for all fitness levels. P90x is one of my top picks for increasing upper body strength, which is imperative to obstacle course racing. What else do you do in addition to Beachbody programs for OCR training? I include running, Spartan WOD, and CrossFit into my training. Also, proper nutrition is key. Since I became a Beachbody coach, my nutrition has improved tremendously. I avoid meats, dairy, soy, and gluten, try to maintain a 10-ingredient maximum on anything processed, eat plenty of fresh fruit/veggies, and drink Shakeology twice per day. Drinking Shakeology has helped me clean up my diet, eliminate cravings, and increase my energy. What is your best OCR memory? Definitely has to be finishing the VA Super Spartan with my daughter and mother…3 generations! 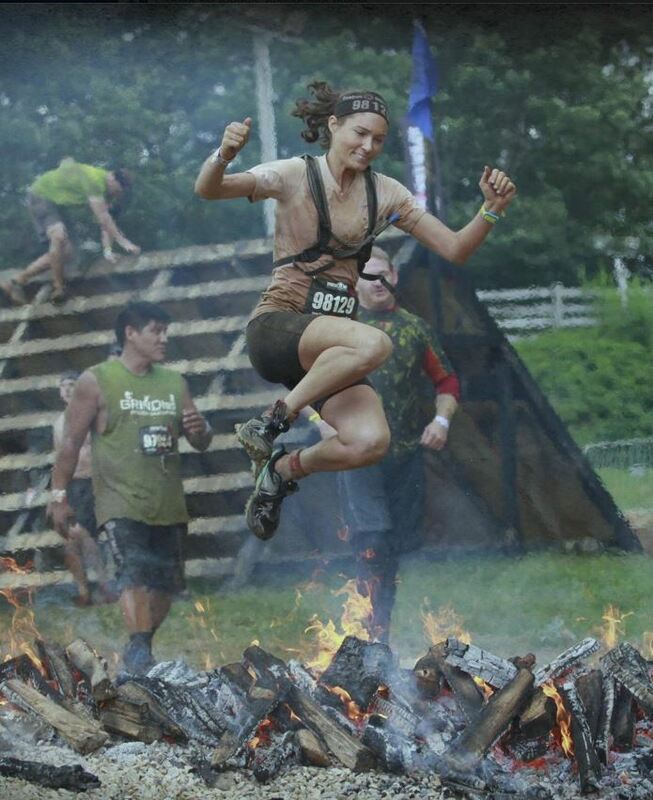 Another memory I will treasure always is watching my 15 year old daughter push herself through the Vermont Spartan Beast, running the second half alone. Her will to succeed is evident and I am very proud of her level of commitment. What is the worst thing that happened to you during an OCR? Not finishing the Ultra Beast. All that training, time, dedication, determination, and commitment to be pulled from the course was very disappointing. In retrospect, being pulled from the course was probably one of the best things that could have happened to me as well. I relate obstacle course racing to the things I deal with in life…some “obstacles” come and go and can be overcome with little effort, while others require more perseverance and a will to never quit. For me, the Ultra Beast represents a constant obstacle I face every day…one that requires continuous determination to never give up. Not reaching the finish line was a reminder of this battle I’m fighting, but not giving up despite the odds against me helped me to realize my commitment to overcome takes me across the finish line every day. I really enjoy the sandbag carry. I also enjoy each attempt at the obstacles I’ve been unable to complete without assistance. Those are the ones that keep me going back! That Spartan spear throw is a guaranteed 30 burpees. It’s not that I dislike the obstacle, it’s that I haven’t even come close to making progress, even with practicing at home. An obstacle I can say I dislike would be anything requiring me to be wet in cold temperatures…and any obstacle requiring my head to be submerged in water. At Superhero Scramble, I spent over an hour attempting to take the Leap of Faith…didn’t happen, walked away disappointed in myself. At the recent Tough Mudder, I knew I would face Walk the Plank…and more importantly, I knew I did not want to return home feeling disappointed again. I was hesitant for about 15 minutes, but I overcame the fear and jumped. Not easy and not fun. Would you rather do an OCR in 80 degrees or 30 degrees? 80 degrees, the cold gets me every time! Tony Horton: mute him or enjoy his banter? Favorite example of someone you have helped by being a Beachbody coach? I would have to say being a Beachbody coach has strengthened my relationship with my daughter and my mother. Living the example of a healthy, fit life has a tremendous impact. When I became a coach and started drinking Shakeology, my daughter made a commitment to focus on nutrition and exercise for herself. Many of the nutritional habits I’ve adopted have come from things I’ve learned from my daughter. My mother started drinking Shakeology as well. Next thing I knew, the 3 of us were participating in the Spartan World Championship Race this year. Seeing my daughter earn her Spartan Trifecta in Vermont was beyond anything I could have ever imagined would come from becoming a Beachbody coach.